Azimuth is a free game. This means that the source code is available to be studied, modified, and distributed. Most projects look for help with testing, documentation, graphics, etc., as well. Azimuth is an action-adventure game, combining 2D top-down shooter action with exploration of a large map. The gameplay involves piloting a freely rotating forwards-thrusting ship through a variety of environments, shooting and dodging the attacks of various enemies, solving environmental puzzles, and the gradual revelation of a science-fiction plot. Bloodmasters is a free game. This means that the source code is available to be studied, modified, and distributed. Most projects look for help with testing, documentation, graphics, etc., as well. 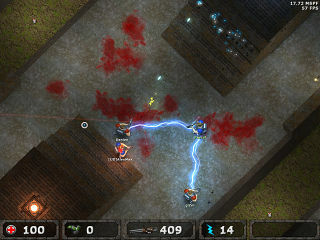 Bloodmasters is a top-down Arcade shooter written by Pascal vd Heiden. The latest version of the game is 1.2 released on May 2nd, 2007. In February 26th, 2008, the game was released under GPL. C-Dogs SDL is a free game. This means that the source code is available to be studied, modified, and distributed. Most projects look for help with testing, documentation, graphics, etc., as well. Donut Quest is a free game. This means that the source code is available to be studied, modified, and distributed. Most projects look for help with testing, documentation, graphics, etc., as well. Donut Quest is free software game for Microsoft Windows made by Piga Software for the Brogo web comic strip released on October 30th 2006. It features the Brogo character Ed Donut (Michelle the mechanic's lazy, dim-witted, and donut obsessed assistant who is also known to have confrontations with spiders), as he fights his way against spiders in a donut factory. Endless Sky is a free game. This means that the source code is available to be studied, modified, and distributed. Most projects look for help with testing, documentation, graphics, etc., as well. Excellent Bifurcation is a free game. This means that the source code is available to be studied, modified, and distributed. Most projects look for help with testing, documentation, graphics, etc., as well. 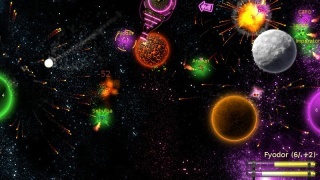 Excellent Bifurcation is an abstract vertical shooter with two sides to play on. 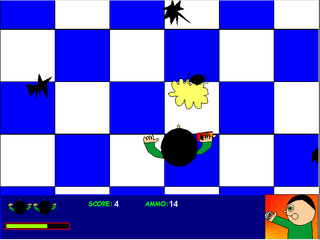 It was made as an entry to a 2007 game jam. Flukz is a free game. This means that the source code is available to be studied, modified, and distributed. Most projects look for help with testing, documentation, graphics, etc., as well. Flukz is a shoot them up game, with levels that can be edited in the same way as a wiki. 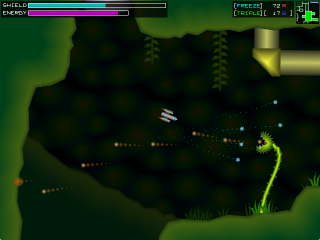 The latest version of the game is 0.4, released in February 2014.
heXon is a free game. This means that the source code is available to be studied, modified, and distributed. Most projects look for help with testing, documentation, graphics, etc., as well. heXon is an arcade twin-stick-shooter created by LucKey Productions using Urho3D and other open source software. Binaries are available through itch.io, source code through GitLab. M.A.R.S. is a free game. This means that the source code is available to be studied, modified, and distributed. Most projects look for help with testing, documentation, graphics, etc., as well. M.A.R.S., a ridiculous shooter. In a far-future colonised galaxy, a GREAT WAR is raging between nameless adversaries. 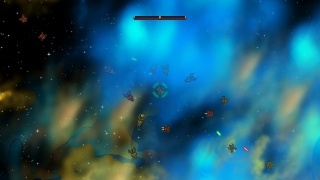 In one of several game modes, two opposing teams are fighting in a gravitational 2D space with a few planets, including their homes. 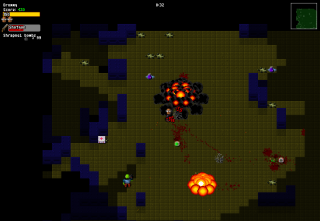 Translations, numerous weapons and AI bots are implemented. 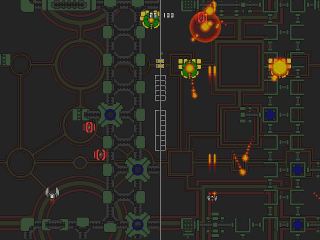 Two players can join in the game on the same computer, network play was planned for a later version. The game's visuals provide ample effects and jarring colours, including pink. Initially, the game contained some non-free media. Hans de Goede provided a fully free version by replacing sounds and fonts, while the Hungarian symphonic metal band Obsidian Shell gave their permission to distribute the music tracks they contributed under CC-BY-SA 3.0, instead of the original CC-BY-NC-ND 3.0. Naev is a free game. This means that the source code is available to be studied, modified, and distributed. Most projects look for help with testing, documentation, graphics, etc., as well. 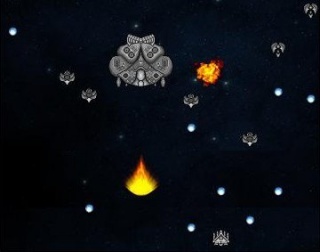 Naev is a 2D space top-down shooting and trading game primarily developed by Edgar "Bobbens" Simo. It requires SDL, OpenGL, and OpenAL. The source code is licensed under the GPLv3. 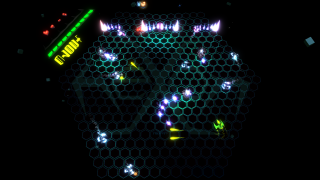 The project was inspired by the proprietary game Escape Velocity. Pacewar is a free game. This means that the source code is available to be studied, modified, and distributed. Most projects look for help with testing, documentation, graphics, etc., as well. 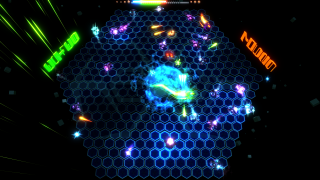 Pacewar is a simple fighting game between two teams of ships. A team wins when it defeats the opposing team a certain number of times more than it is defeated by the opposing team. As a team gets closer to winning, it loses ships. This page was last edited on 25 December 2018, at 16:49.